This week in our "geeks love" series, we're featuring the Batgirl and iconic green alien herself, Yvonne Craig. 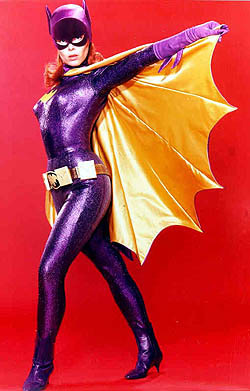 Bio: Born on May 16 1937 in Illinois, Yvonne Craig started out as a classically trained ballet dancer. After performing for a number of years in the Ballet Russe de Monte Carlo, Craig moved into acting with a number of movie and TV roles. She starred with Elvis Presley in Kissin' Cousins , but her most memorable TV role came on Batman in 1968. 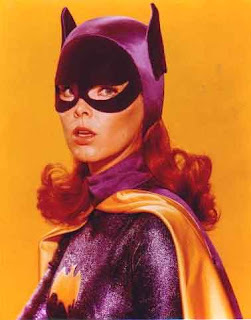 She stole geek hearts as Barbara Gordon, Commissioner Gordon's daughter, and her secret identity Batgirl. 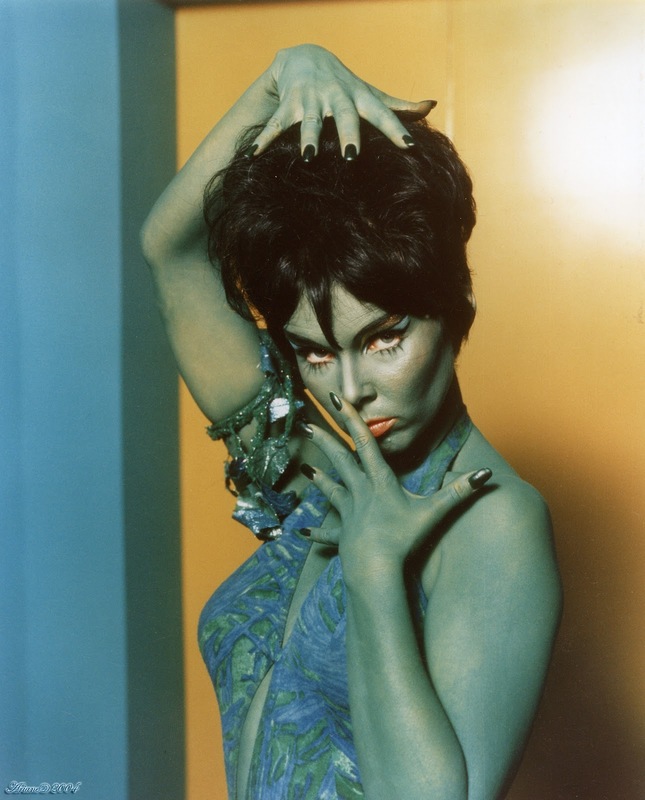 Craig was almost as memorable in the Star Trek episode "Whom Gods Destroy ," where she played the green alien slave girl, Marta. 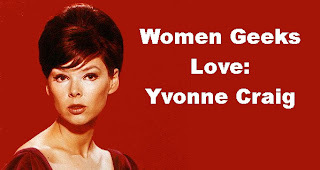 What do you think of Yvonne Craig? Who else would you like us to feature in upcoming posts? Let us know in the comments. 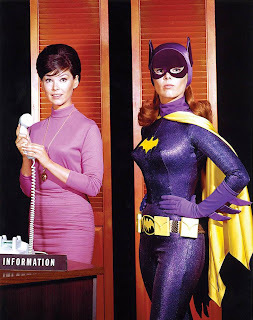 Too bad it was the 60s and women all had hideous hair. I love her! Her version of Batgirl was one of my first crushes! Zowie indeed! I actually liked her beehive, Pat.